Earlier topic: Harrild’s Wood Type Initials ID? 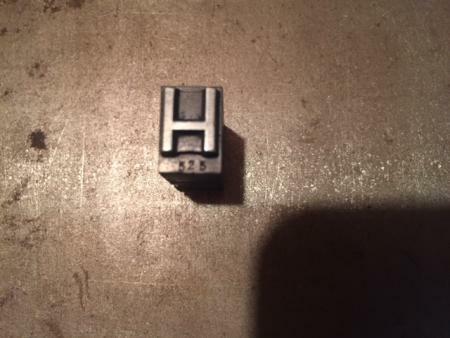 Any help greatly appreciated in identifying this font and foundry. As found, some of the Capital letters are mortised and only have 1 groove while all other Caps and lowers have 2 grooves. Are these all from the same set and foundry? 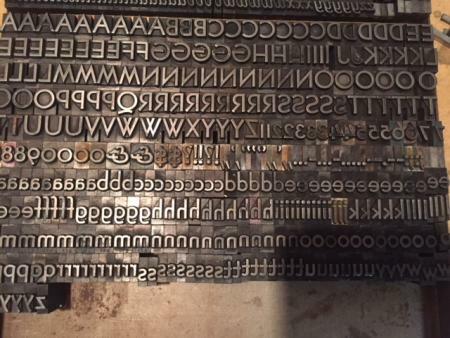 Some letters are marked 525 on their lowers edges. Also are the numbers 6 and 9 correct? They seem oversized compared to the other numbers. ATF 525 is Bernhard Gothic Medium. The numbers look just fine. Thanks for quick and accurate information! Die-cases/Matrix cases with both as standard, i.e. Lining, Non lining, . . Non Lining occasionally specified for book-work folios. !